Shipwright Harbor Marina has undergone a lot of change in recent months, and the team is excited to welcome boaters back for the 2018 season. Read on to learn about their impressive winter upgrades and get a quick primer in history, activities, and navigation. Shipwright Harbor Marina was founded 32 years ago, during which the marina experienced vibrant times with a lot of activity. As years passed, there was a reduction of re-investment into the facility and the infrastructure, docks, and grounds desperately needed attention. Herrington Harbour has long recognized that Shipwright Harbor Marina is situated on a beautiful piece of property with a lot of potential. Herrington Harbour acquired Shipwright Harbor in 2017 and quickly started making improvements. A well-marked channel leads you from Herring Bay between stone jettys and through Rockhold Creek Channel. A junction buoy shows a split in the channel where you can veer to starboard or stay straight. Both channels will get you to Shipwright. There is one well marked shoal between the channels that should be avoided. Click here for a video walkthrough of the approach. 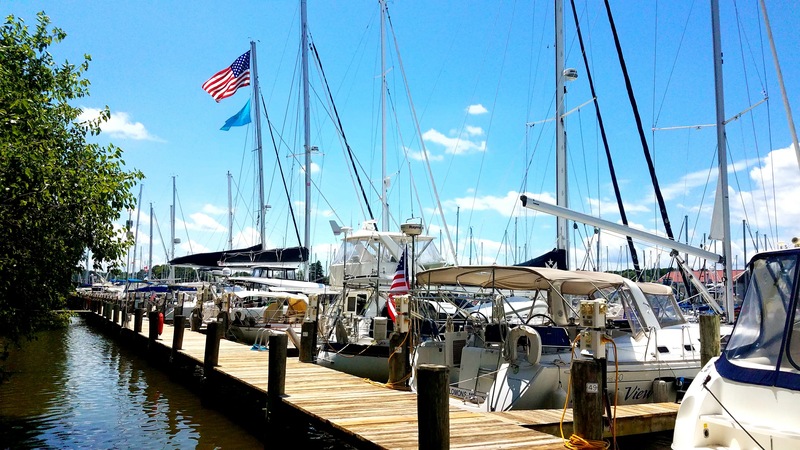 Over the past two winters Shipwright Harbor Marina has undergone massive improvements. Herrington Harbour has long upheld a protocol to reinvest in their facilities (Herrington Harbour North and Herrington Harbour South) each year. 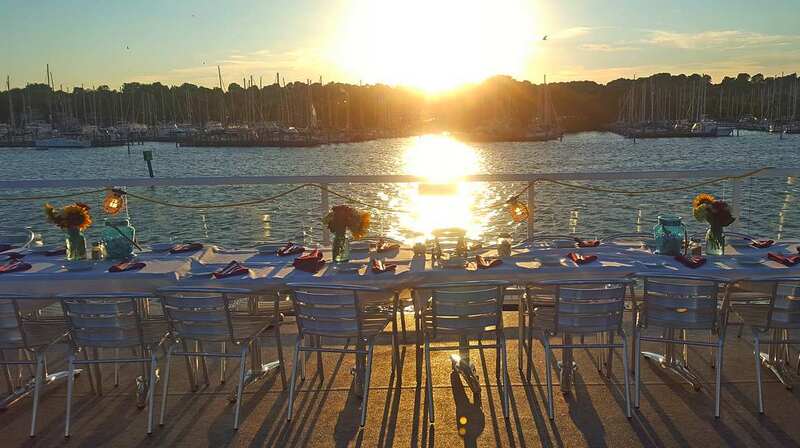 Rebuilding docks, renovating restaurants, improving the grounds, and adding amenities and services are all standard operating procedure in Herrington's proactive philosophy. This approach now extends to Shipwright Harbor, so boaters can expect to see upgrades and improvements year after year. In 2017 the work began as the team dredged the marina's surrounding waters, paved the entrance road to the marina, converted the pool to saltwater, cleared abandoned boats from the parking lot, and undertook several projects to clean and repair some docks in need of love – no small feats. They didn't stop there: energy and investment also went into additions such as high-speed wi-fi, and landscaping, new dock carts, new pool furniture, and a new webcam and website. Top it all off with utilities inspections and a few additional repairs and the team was ready for the 2017 season. There was still more in store for 2018: new for this season, the marina has newly-renovated bathrooms, a fire pit, new storage lockers, an updated dinghy launch site, and new loaner kayaks and bikes! Read more and see before and after photos in the Shipwright Harbor Marina Scuttlebutt. “The marina restrooms are being upgraded to provide members a relaxing spa feel, inclusive of new plumbing fixtures and equipment. En suite shower and bathroom facilities are featured in both the women's and men's restrooms. This feature provides not only privacy but also accommodates updated accessible needs for all members and guests use. Herring Bay and Deale are a hub of maritime activities. Guests can kayak the creeks, jetski, tube, waterski, or take an afternoon to go fishing, sailing, or just relax at anchor. 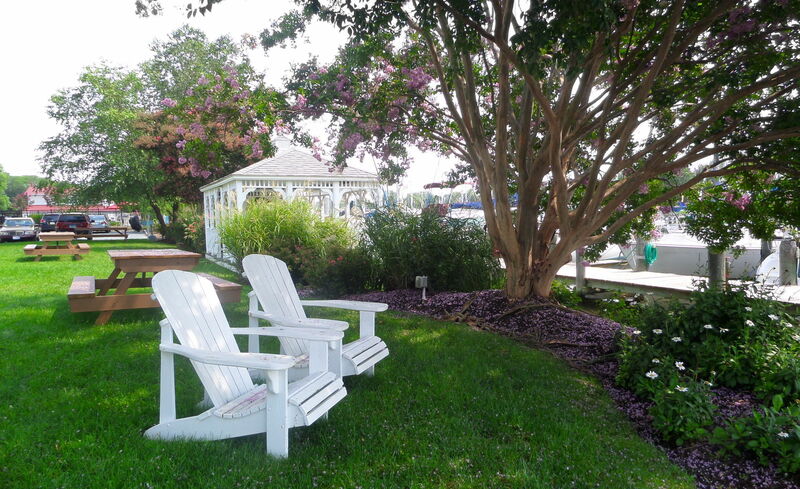 You can also visit local farmers markets, consignment shops, and dockside restaurants through the creeks. Deale caters to visitors year-round, with the Deale VFD Annual Carnival that takes place in late summer, ongoing farmers markets, and the annual parade of lights each winter. 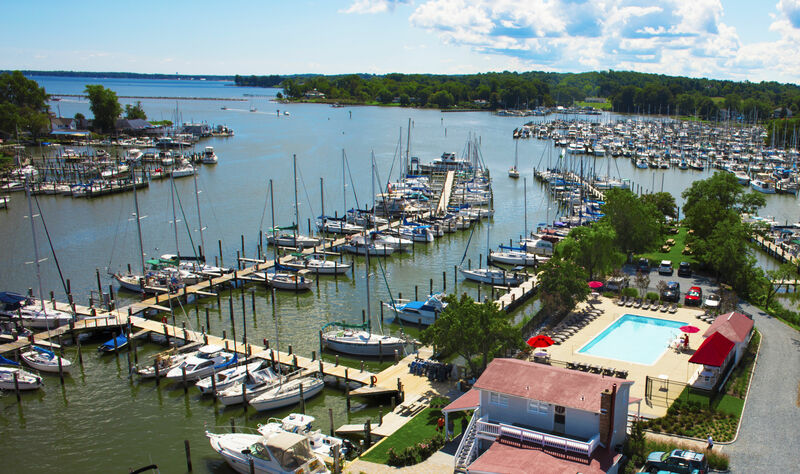 This is far from a comprehensive list: because Shipwright Harbor Marina is centrally located on the western shore of the Chesapeake Bay, many slipholders take day trips to Tilghman Island, Lowe’s Wharf, The West River, South River, Annapolis, and St. Michaels. Skipper’s Pier in the mouth of Rockhold Creek is a staff favorite, with steamed bay crabs, a double-decker outdoor deck bar, and live music – dinghy over or call Captain Z for a water taxi ride. 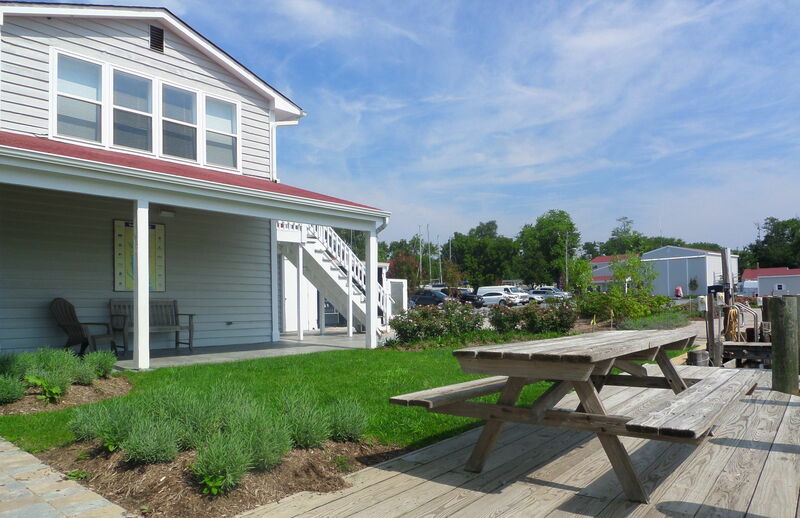 Dockside Restaurant is located a short walk away on the Herrington Harbour North property, just across the bridge from Shipwright. And make a point to get freshly shucked oysters at Happy Harbor, just up Rockhold Creek from Shipwright Harbor. Umai is Deale’s hidden sushi gem, and South County Café offers fresh specials for breakfast, lunch, and dinner. 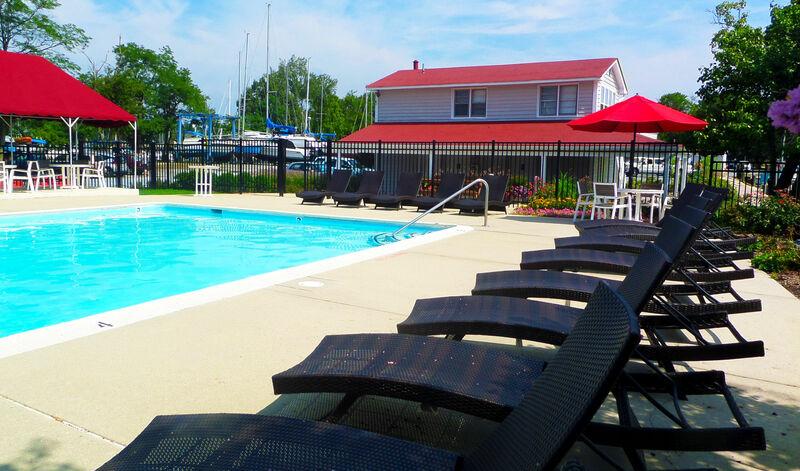 Stay at Shipwright Harbor Marina and kick back at the saltwater pool and enjoy the picnic area on The Point with beautiful views of the creeks. 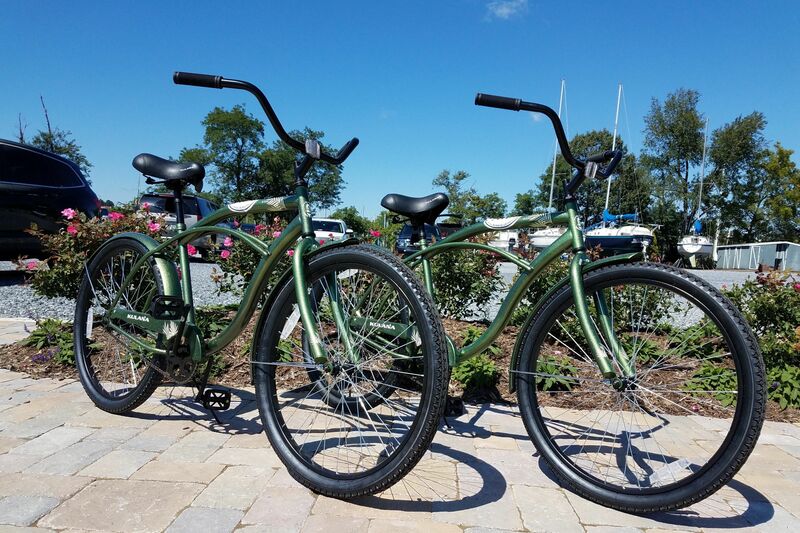 Use the highspeed wifi to make dinner reservations at Skipper’s Pier, then take advantage of the complimentary kayaks to work up an appetite with a paddle up Tracey’s Creek, or borrow a bike to check out town. 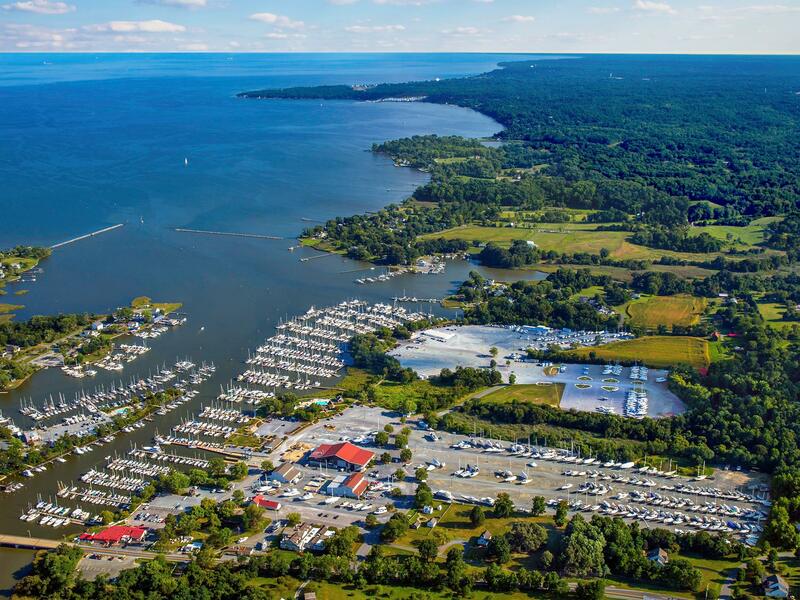 All in all, Herring Bay offers a diverse boating experience nestled in the Chesapeake Bay. Reserve on Dockwa now to plan your weekend cruise!